Stress and weight gain go hand in hand. CORTISOL is the main kicker when it comes to stressing. This is an important hormone in the body secreted by the adrenal glands. It has many functions such as proper glucose metabolism, regulation of blood pressure, insulin release for blood sugar, immune function, and inflammatory response. So when you are under the high stresses of life, the “fight or flight” response is triggered, releasing this hormone. If you remain in this state for long periods of time, not only does it affect your health, it also causes weight gain! METABOLSIM: Dieting becomes more difficult because your metabolism SLOWS down, causing more weight GAIN than normal. CRAVINGS: People experiencing CHRONIC stress tend to crave fatty, sugary, salty and UNHEALTHY foods. BLOOD SUGAR: Stress alters blood sugar levels. You become tired, irritable, moody, and it can even be linked to hyperglycemia! FAT STORAGE: Stress affects fat storage! Higher levels of stress are linked to more abdominal fat. 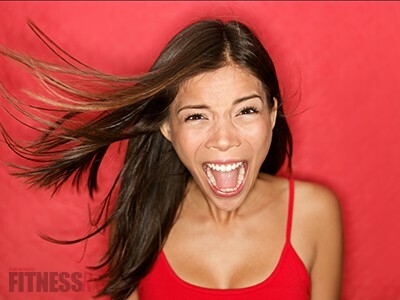 EMOTIONAL EATING: Not only do you crave bad foods, stress also creates excess nervous energy. This energy causes the average person to eat more than normal! Till next time… stay dedicated and determined, and always remember… the “Skye’s the LIMIT”!! !